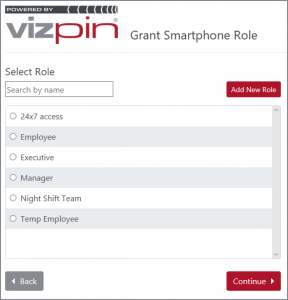 VIZpin, the market leader in Smartphone Access Control, has announced the launch of VIZpin ROLES. This major update to the popular Access Control as a Service (ACaaS) greatly simplifies system administration for small, medium and large access control applications. 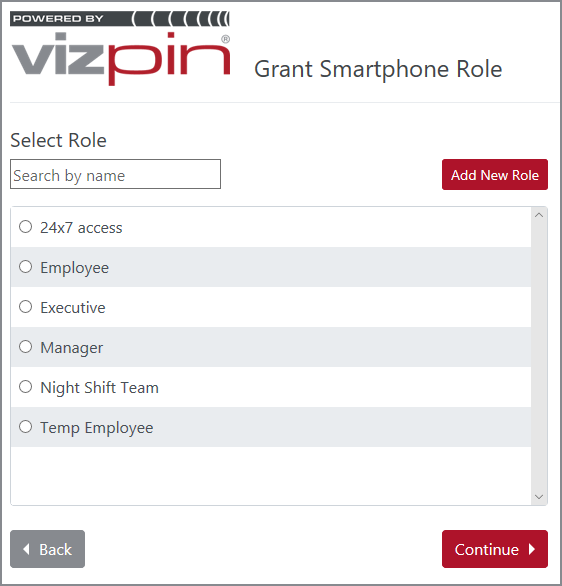 With VIZpin ROLES, you can grant access to large groups of users using a pre-defined list of readers with unique schedules for each reader so managing complex operations is now fast and convenient. It also provides significant savings by eliminating the administrative burden of changing schedules. With ROLES you no longer have to update one user at a time, if there is a schedule change or more access points are needed, simply change the ROLE and everyone with that ROLE is automatically updated. It is perfect for applications with multi-shift operations, visitors and temporary employees. “VIZpin was always great for applications with less than 20 access points” noted Paul Bodell, VIZpin CEO., “ROLES makes it easier for larger customers to benefit from the security, convenience and affordability of VIZpin “. Because VIZpin is a cloud-based access control solution, upgrades are immediate and do not require a service call or equipment upgrade. For more information on the benefits of VIZpin ROLES, or to sign up for a live demo, visit our VIZpin ROLES product page.